Letzigrund Stadium Zurich: "Pleasantly Unspectacular"
"The structure goes along with the cityscape as self-evident and modest, and for a stadium it is pleasantly unspectacular", said the enthusiastic judgement of the jury about the design of the architects Bétrix & Consolascio from Erlenbach. 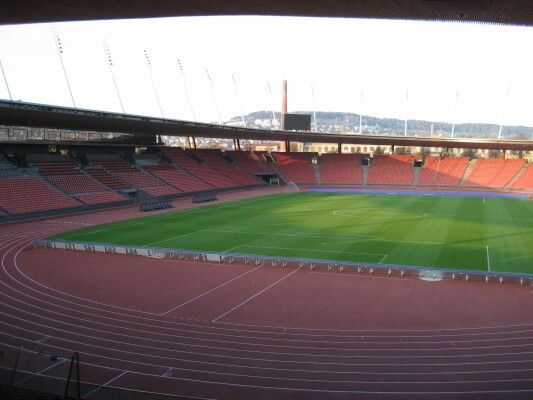 A roof structure tilted from horizontal »floats« over the entire round of the Letzigrund stadium, as a flat band standing on 31 pairs of pylons. From underneath, the view of light European Robinia makes the roof actually appear light, in contrast to the covering made of rusting Corten-steel which makes the diagonal and pressure pylons almost disappear before the background of the stadium. The appearance of a levitating roof couldn’t be more convincing. 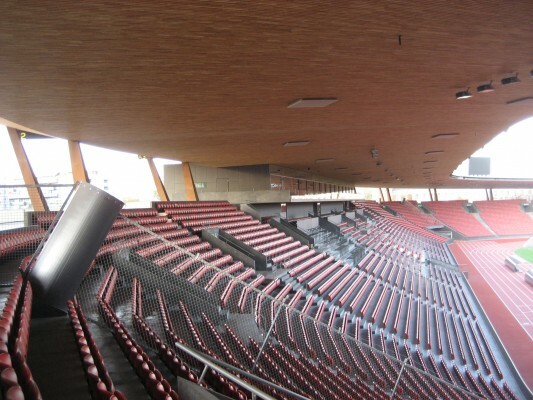 Eurobinia supplied 508 m3 of European Robinia for the stadium in Zurich, the Robinia battening of the bottom view has a length of 240 km.